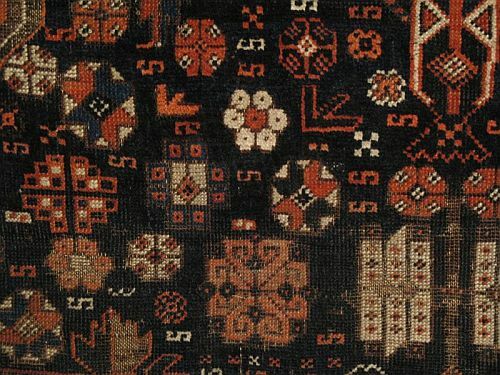 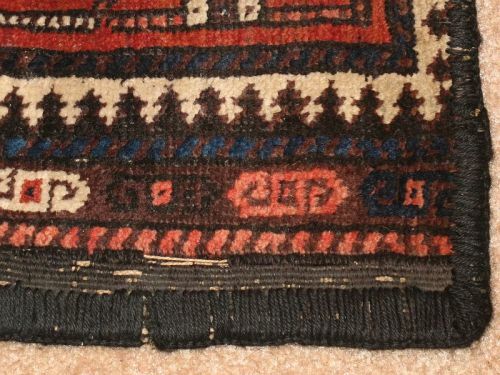 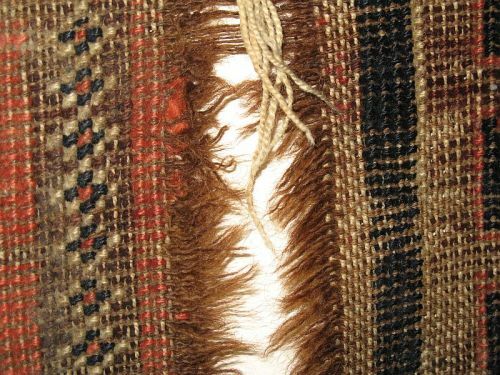 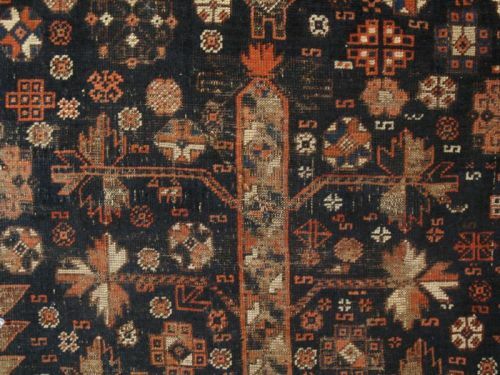 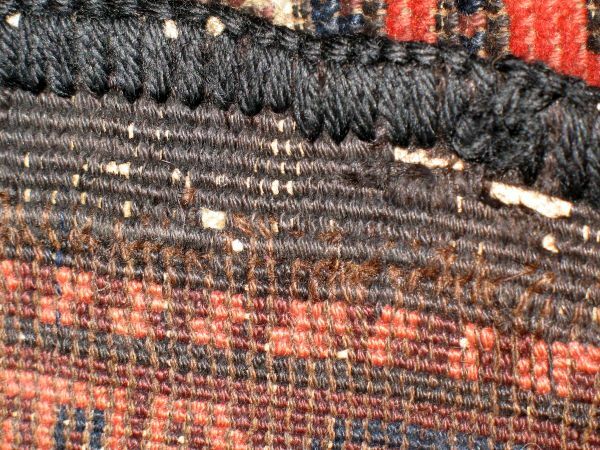 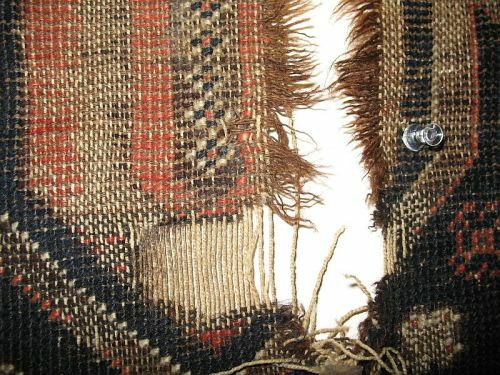 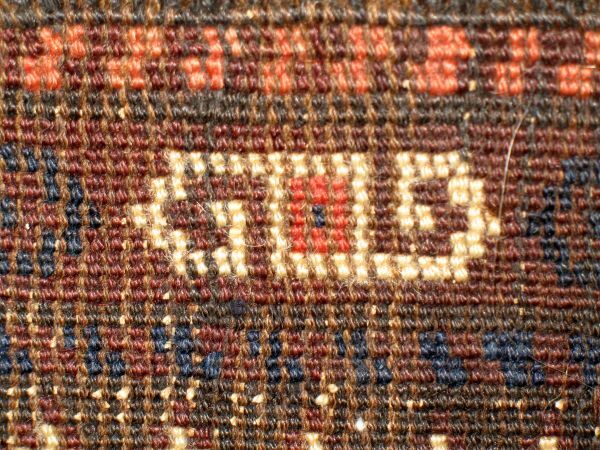 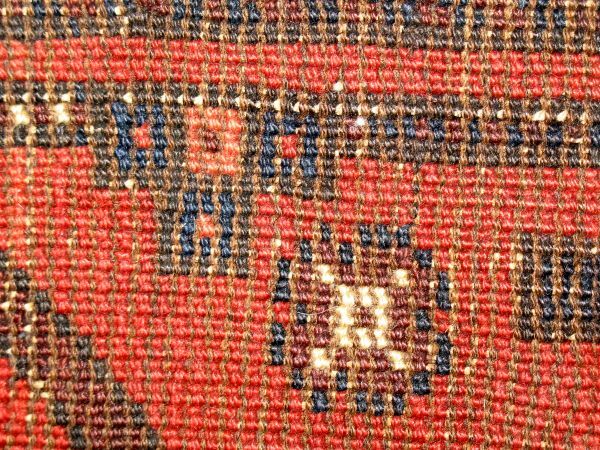 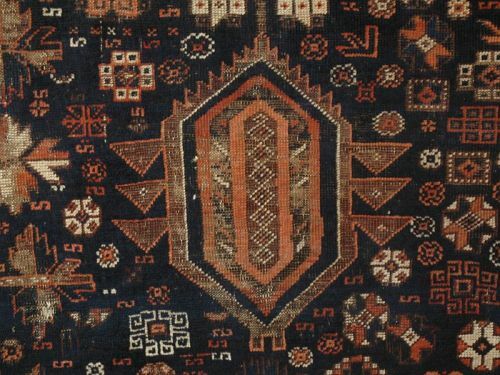 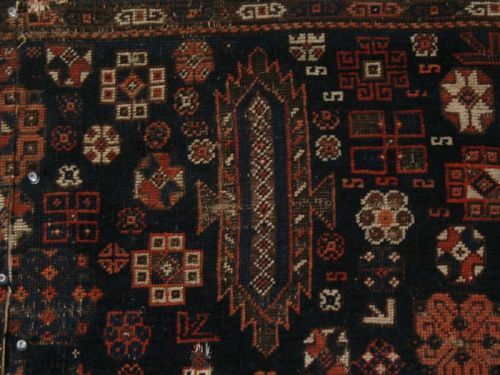 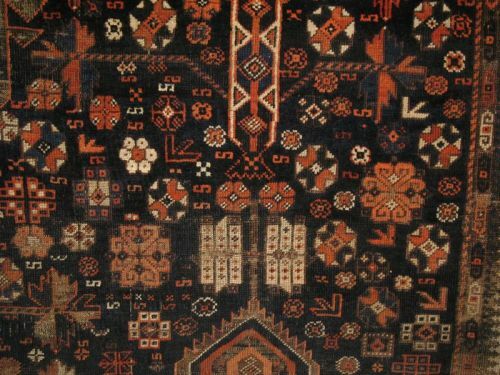 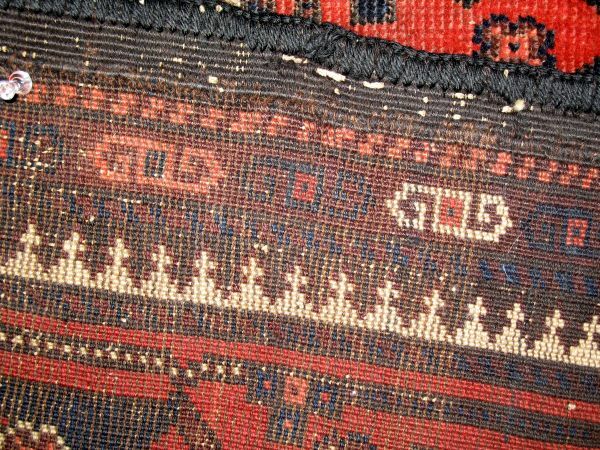 I suspect that this fragment represents less than half of this rug's original dimensions. 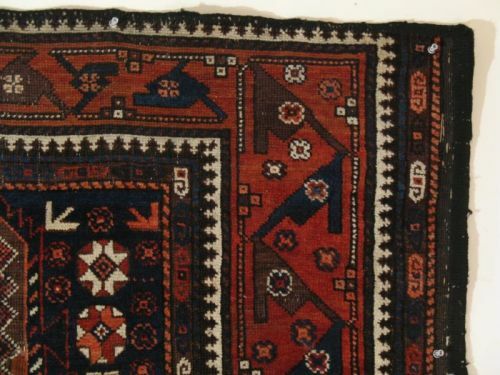 A 2/3 ratio of width to length would place this rugs dimensions at roughly 10' x 15'. 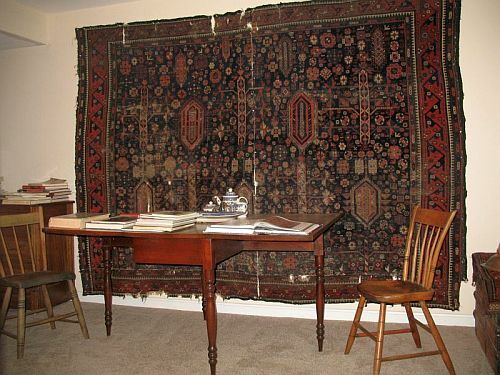 There would have been five rows of design elements ("trees and inkwells") to the original composition. 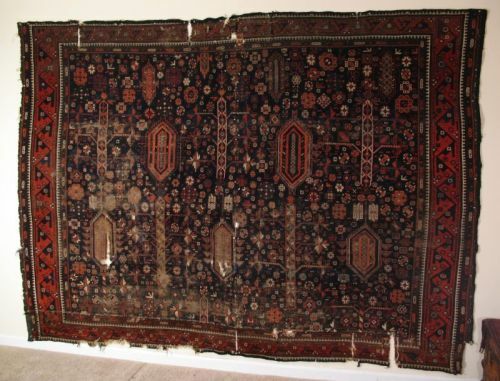 Perhaps used in a Mosque or religious school? 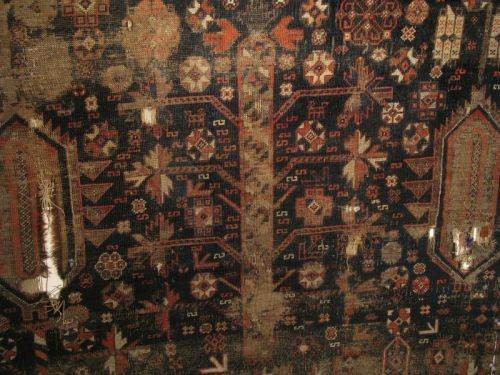 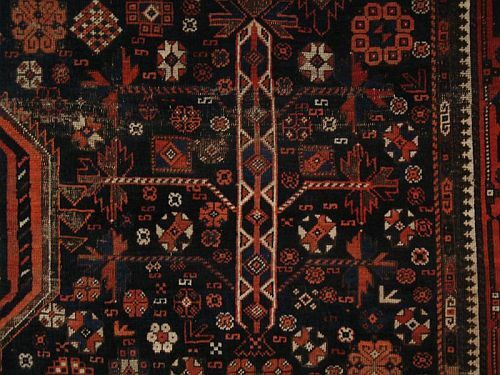 The "inkwell" motives speak of scholarship, and Bode suggests that the "tree or Shrub carpets", with their narrow borders, were designed to lie along side each other to cover a large space, such as a mosque floor. 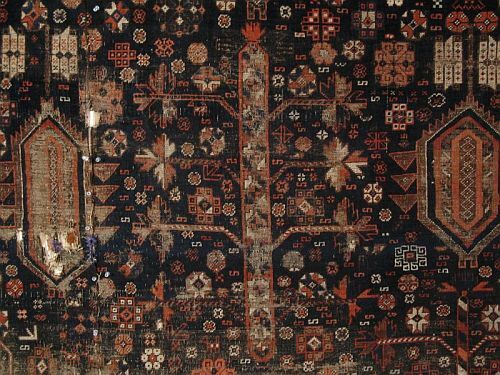 And there really do seem to be a "Thousand flowers" in the field of this rug. 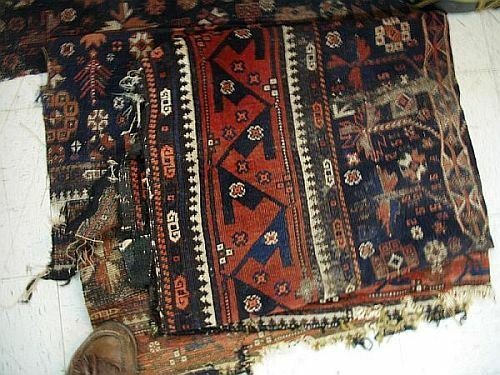 I was makin' the rounds of the usual suspects when I came across this rug, cut in half, and with one piece folded up in a corner. 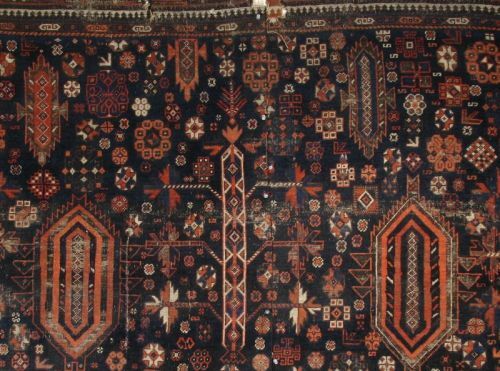 Interesting, it measures 6' 9" x 9' 6", and reminds of two classes of rugs which Von Bode discribes as being progressive design; the Tree or Shrub Carpets, and the Vase Carpets. 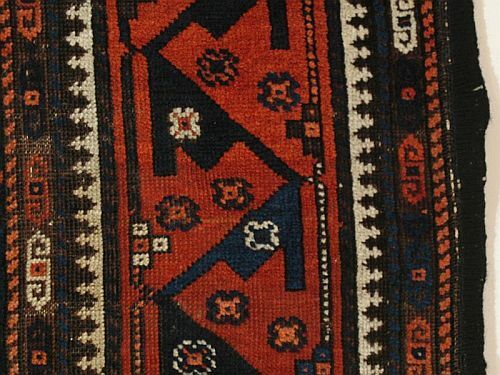 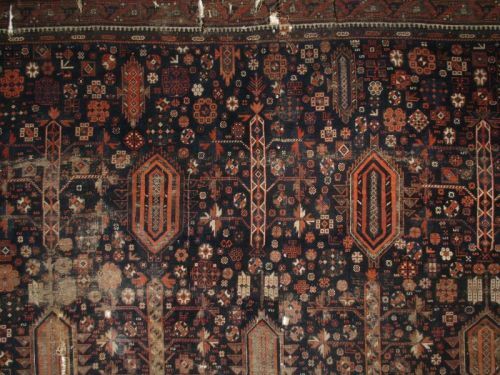 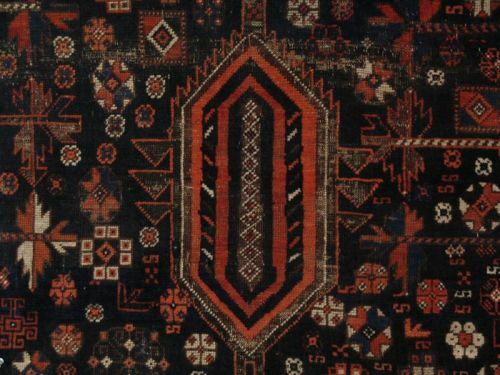 It also reminds in many ways, of a carpet design which seem to have proven successful in Persia, the Mughol Millefleur design. 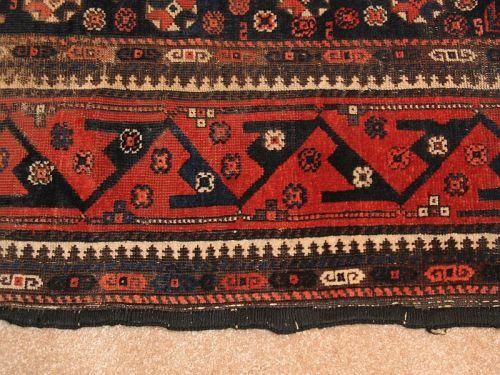 Interesting that there is not one true red in this carpet, all madder shades of redbrown, with a strong Henna orange thrown in....The knotting of this rug is senna, 8-9 h and 10 v., open left. 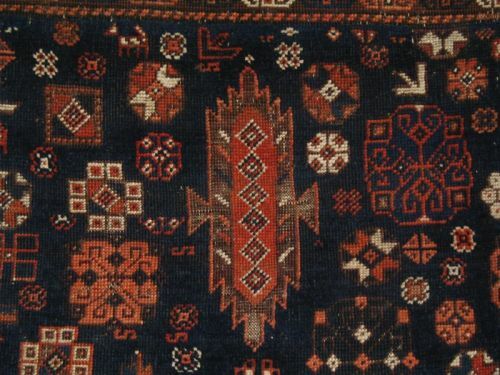 Follow the Turkotek link to a discussion of this rug.